The ability to handle variable data is a fundamental advantage of a digital press, and the Jet Press 720S is no different even though it is a single sided press. 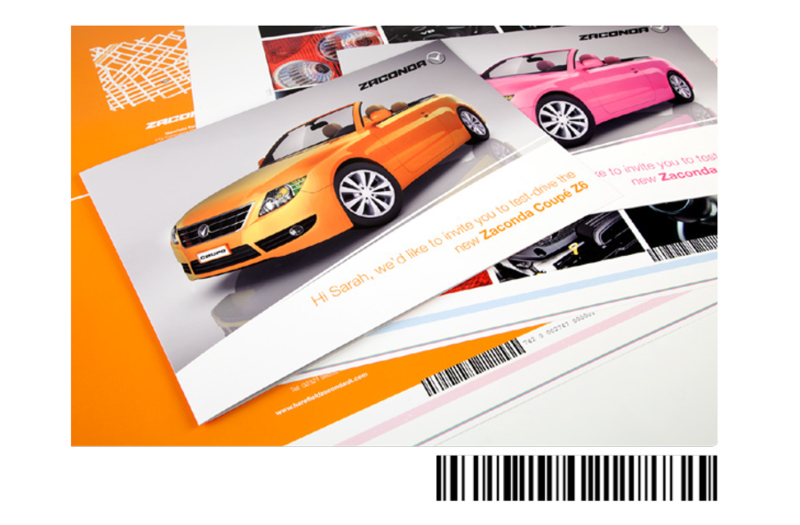 This is because it takes advantage of a system that prints a barcode in the non-image area of every sheet immediately after the paper leaves the input sheet stacker. Once the first side has been printed, the sheets are turned over and loaded into the sheet stacker once again. The press reads the barcode on every sheet as it leaves the stacker and downloads the correct page information before printing the second side (in 1.3 seconds), guaranteeing front and back page matching. Thanks to the introduction of newly developed, ultra-high capacity servers and data transfer system, the Jet Press 720S is able to print the second side on-the-fly at the full press speed of 2700 B2 sheets per hour.